I am running an offer on a special package for Video Marketing Strategy. I need the following ecovers/computer screens/CD covers/ipod covers ect. 4- Ecover for a Video hosting Package - Ecover needs creating from the attached images (Stats and Viewer Tracking) on the Background image. Then the ecover needs to be put onto a computer screen, tablet and wrapped around a book shaped box. Each ecover will need a title, our logo, and then a graphic or some graphics that represent clearly what that part of the bundle is. ahh I understand, thank you. 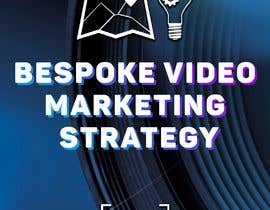 The Video Marketing Strategy Ecover needs to be something that represents getting an actual Video MArketing Strategy. is "Video Marketing Strategies and Video Content Creation" something you want alongside your SCOPIC logo? We provide Video Marketing Strategies and Video Content Creation.